The first thing to note about our flexible working policy at Hearts Academy Trust is that it is about our pupils and not our staff – although it benefits them too, obviously. We have high expectations of all of our staff and their commitment to excellence underpins all that we do for our staff, the community and our pupils. These high expectations lie at the heart of our approach to working and our ultimate goal - to establish a positive, hopeful working life for our staff, which impacts positively on pupils. What does flexibility look like in HEARTS? Pupil achievement and well-being comes first in every application for flexible working. We will consider flexible working in all new appointments. We consider all requests from all staff seriously. We consider “job sharing” as only one of the many options for flexible working. We see every application for flexible working as an opportunity to do things differently, improve outcomes and improve working conditions for staff. When the head of one of our small schools went on maternity leave soon after being appointed to her senior position and returned 6 months later she wanted to work three days a week. We initially agreed to 3.5, but we also agreed that we would review the offer and reconsider the three-day request at a later date. As a result, this has allowed her to have the flexibility she wants and for her staff to develop their leadership skills, covering for her on the days that she is not in. The result of this is that the school now has better succession planning. When three highly effective teachers went on maternity leave (we all cried!) in one school at the same time, one of whom was a school leader, two asked to return part time. Both were superb teachers and the cost of training new staff to replace them would be as costly as it always is. They could have shared a class, but we looked wider. One now works across the schools as a lead practitioner coaching new staff, whilst the other teaches art instead of costly external PPA cover. 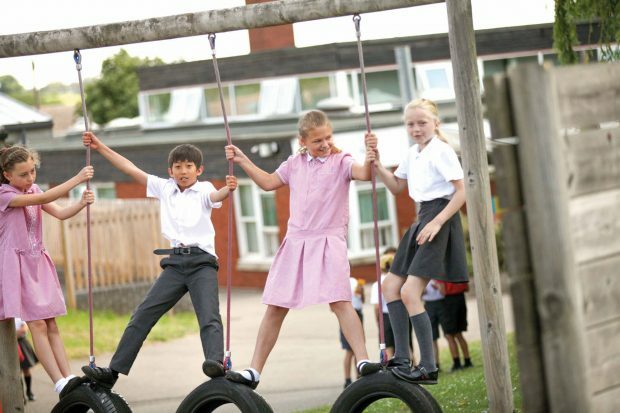 One of the first steps we took on this journey was to consider whether subjects such as music, outdoor learning, art and PE could be delivered more cost effectively through expert teachers, as opposed to external providers. A part time teacher, in his third decade of teaching who had a particular passion for teaching outdoor learning proposed that he taught all our outdoor learning by working an extra day. 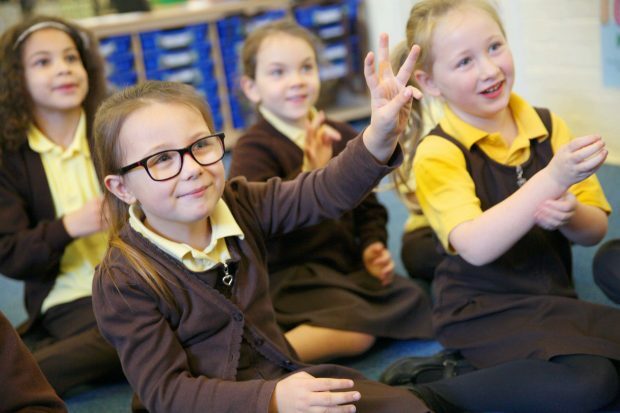 The school took this on board and he has greatly enhanced both the teaching and pupil outcomes, as well as improving the coverage of natural sciences and pupils’ confidence in risk-taking. Again, the school saved money by losing 2 days of a costly external company and having three days of a highly-qualified, experienced teacher. An Executive head working four days a week and completing a master’s degree on the fifth. A lead practitioner working three days a week and coaching/adding expertise to KS2 across the Trust. A Director of Learning who oversees a whole key stage across six schools (19 classes) who worked five days a week until September 2016 now works a 0.8 contract. When she asked about working more flexibly, it was clear that because she had done such an amazing job in getting all schools to achieve national average and better in reading, writing and maths, the decision to accept her request was made much easier. A phase leader/lead practitioner working three days across five of our schools. She also works a flexible time model, due to her child care circumstances. In recent years, we have discovered the “power of two”. All of our primary schools are or have been considered ‘coasting’, in special measures, or have high levels of white British disadvantaged pupils. We believe the demand on leadership in these schools is significantly higher than the ordinary level of demand that headship entails - one that many of you will be aware, is already very high. In our most challenged schools, there are two heads of school and no deputies. They are five day a week heads working together leading the school. We are currently trialling two teacher classes. This means not only two full time teachers teaching a class, but also coaching and developing students, newly qualified teachers and teachers new to the school/Trust or new to a year group. The cost of one of them is shared by all schools. We employ two counsellors/mental health workers (one works flexibly) across our organisation. They do work, of course, with families and pupils but they largely work with staff. Some staff have compulsory supervision (including the counsellors themselves) and many request surgeries with them. They talk with leaders weekly. There are two so that they also have support, but mostly because of the need - and the very positive impact. Pupil premium pays part of their salaries and we have no worries about saying that the best service that we can provide the most vulnerable pupils is a mentally well teacher who has high expectations of themselves and the pupils that they teach. In 2016-17 all of our pupil outcomes (including in our most challenged schools) were better than the previous year. All had improved at better than the national rate. Retention of staff was high. We have just appointed our second head who has been with us since being a student or NQT. All but one of our heads taught in our schools prior to leading. External adverts for leadership/teaching are rare. All of our school/TSA Direct salaried and all of our non-salaried students applied for posts in our organisation. All were successful. What they had seen of our work was what they wanted to be part of. All of our pupils had a permanent teacher at the start of the year. All but one of our classes had the same teacher all year. We have been fully staffed every September since 2011, in an impossibly difficult locality to recruit to. We have capacity across the group of schools to move school improvement staff where gaps form for short periods of time meaning the need for supply staff has been eliminated. We have great succession planning for all levels in our schools, because others step up when part time leaders are not in. They are more prepared for the next step and thus feel more confident. Costs have been reduced for staffing because shared costs across a group of schools can enable this in the current cost restraints. We believe the benefits of working flexibly are enormous, and contribute to our success as a group of schools, working for children and our staff. Our ethos statement can be found here: www.heartsacademytrust.co.uk Take a look.